Our product range includes a wide range of release forged plate. We are indulged in offering Release Plate that has been much appreciated by our clients. 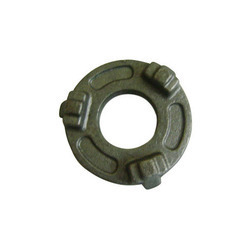 These are hardened as well as stress free to ensure maximum shock absorbing capacity. Our entire product range is well-tested on quality parameters before the final delivery. Our supervisors make sure that the product delivered is perfectly performing well and is quality based so as to keep our clients satisfied. Our offered products are highly admired in the market due to their quality, sturdy design and top performance.